Do YOU want to be able to book in more stage hypnosis shows or clinical seminars than ever before? How would YOU like to never have to worry about being undercut by a lower priced competition? Are YOU ready to start booking YOUR own shows and seminars RIGHT NOW? If you are ready to start doing, and not just learning theory, then this is the training you have been looking for. 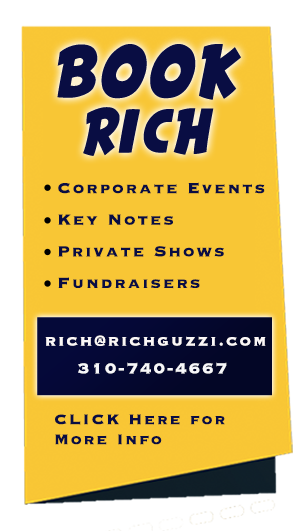 This is a BOOT CAMP format where you will work with Rich all day and produce your own show or seminar. Hands on training where he will walk you through the entire EXACT process he uses, start to finish. • The RIGHT ways to Four Wall Your own Shows & Seminars so that you can Make more money. • How Small Adjustments Will Equal BIG RESULTS for YOU! • You will SAVE an ENORMOUS Amount of Time, Energy, Effort & Wasted Money! • Venues Will Magnetically Attract to YOU for More Bookings. • You will Avoid the #1 MISTAKE Everyone makes When booking shows that cause People to Say NO to You! • How to Ethically Get Anyone, Anytime, Anyplace to LOVE YOU and want to Book YOU.